You’re sitting across the table from your financial advisor talking investments when he or she recommends you stay away from a unit trust and rather go with an endowment. Anyone who owns a business, besides being a business owner, is a shareholder in that business. That’s because they own a ‘share’ of the business – either the full share or a portion. The only time you and I can buy shares in a company is when we get invited to the party. The easiest way to get invited is by buying shares in public listed companies on the Johannesburg Stock Exchange. Now it’s all fine and well buying shares in a company, but what if you have limited cash available and you want to buy shares in a lot of different companies? That’s why unit trusts were invented. Firstly, they aren’t known as a ‘unit trusts’ anymore. They are now referred to as ‘collective investment schemes’ with you owning a participatory interest in the collective investment scheme portfolio. What happens is they pool the money of a bunch of investors together who want to invest in things like shares, bonds, property, and cash. All the shares purchased with that money are then divided into individual units amongst the investors. Each unit containing the same portion of each asset type which was purchased. In other words, each unit will have an equal percentage of equity, bonds, property, and cash. Now instead of you having to invest your R500 a month into buying shares in a single company with all your eggs in one basket, you get to diversify your R500 between various asset classes spreading your risk. When the company whose shares you own makes a profit, you get to share in that profit. The value of those shares on the stock market ultimately determines the price of your units. As the share prices go up and down, so too do your unit trust prices. 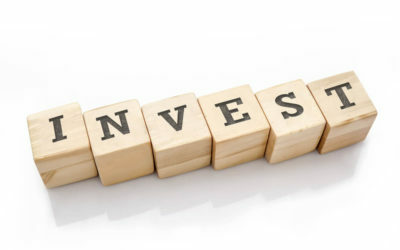 How do you make money with Unit Trusts? First off there is the capital gain. As the share prices of the companies, you have invested in rising, your units become more valuable, and you can sell them at a profit. This is known as a capital gain and the one downside is that they’re taxable in your hands. This tax on the capital gain is one of the advantages of owning an endowment. But that advantage depends on your tax rate. Secondly, the dividends you earn. When a company makes a profit, they can either reinvest the profit back into the business or they can declare a dividend. In other words, they pay out the profit to their shareholders. Your collective investment scheme uses this profit to buy more shares which means you get allocated more units. You might have started out with owning only one unit but over time end up owning ten units because of all the dividends being declared. Finally, the interest you earn from the cash side of your investment. So even if the share portion of your portfolio is underperforming, the cash portion will continue to generate some sort of interest which offsets the ‘paper loss’ you might suffer on the share side of the equation. one of the underlying companies you’re invested in goes insolvent. Usually, if you hang onto your investment long enough, the shares will head back into positive territory and you will once more stand to profit. Of course, the interest you earn from your investment is taxed as income, and this is another of the advantages of owning an endowment. What then is an endowment? Quite simply, an endowment is a collective investment scheme like any other. Hang on a moment. Didn’t we just say that a unit trust is a collective investment scheme? Yes, we did. An endowment is underpinned by the same units available under any other collective investment scheme. The only difference is the wrapper which we refer to as an endowment. The engine behind that wrapper is the very same engine which drives your common unit trust. However, it’s the tax treatment of the returns of that ‘engine’ which makes the difference between a simple collective investment scheme and an endowment. Are you still with us? You own a 1.6 Toyota Corolla while I own a 1.6 Toyota Auris. Both cars run the same 1.6-litre engine but have different bodies. The Corolla is a sedan with a boot and the Auris is a hatchback with almost no boot. There are advantages to investing in an endowment versus investing in a standard collective investment scheme. As mentioned in this article, it all has to do with the tax treatment of an endowment but that’s a topic for another article. Yes, the engine which delivers the returns is the same in both. It’s because the wrapper determines how the returns are treated from a tax perspective. With a simple unit trust, your investment returns are taxed in your personal capacity while with an endowment your returns are taxed at a flat rate within the endowment itself.